Price reduction - Great Downtown location near shopping and on bus/bike route to UF. 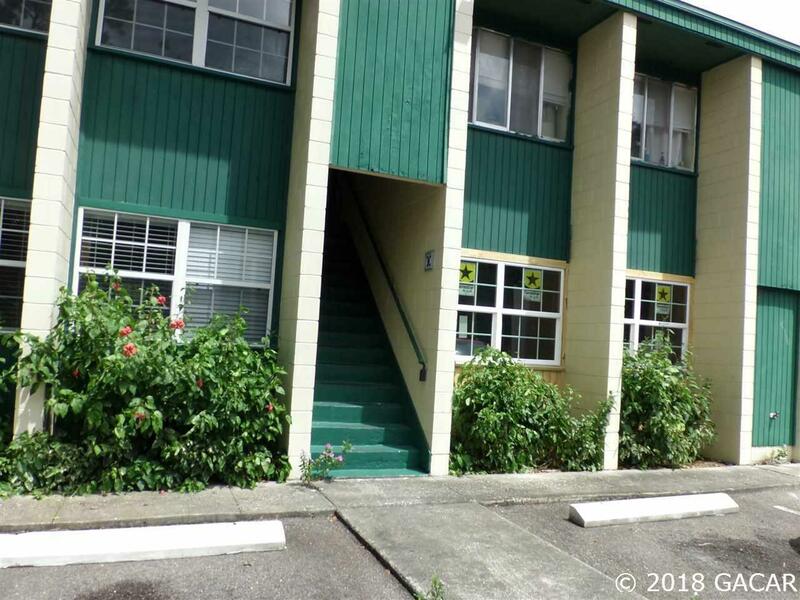 J This condo features 2 bedrooms, 1 bath , living room, kitchen with separate dining room. There is an open airy feeling with great lighting, large rooms. Unit is currently being professionally painted for a fresh clean look. Features stacked washer/dryer, microwave, and refrigerator in kitchen. New Wood laminate flooring throughout except bedrooms. A/C is 12 yrs old; washer/dryer 5yrs old, newer hot water heater, refrigerator 6 yrs old. Brand new roof, with a repaved parking lot, exterior is concrete block. Association pays for water, sewer & garbage. Pets allowed. Owner is motivated.